Kiir's long-time rival Machar, who is expected to become the country's First Vice President under the deal, signed the agreement last week in Ethiopia. Kiir and Machar have signed several ceasefire deals before only to violate them within days. He said the government's latest offensive was aimed at capturing ports in Unity and neighbouring Upper Nile State. 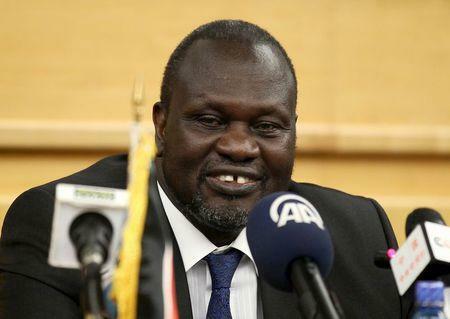 "The government offensive against the SPLM/SPLA (rebels) is continuing unabated despite Salva Kiir signing the Agreement on Resolution of the Conflict in South Sudan," Machar said. "We are wondering whether the government is genuine on signing the agreement. We condemn the regime's continued offensive in the strongest possible terms." "On Wednesday it was the rebels attacking the SPLA in Nhialdiu and the SPLA repulsed them. There are casualties but we don’t have the details up to now," he said, referring to another Unity State town. "Definitely, the army command will implement the government policy and we will only fight in self-defence if the rebels attack our positions."